With registration letters RR. 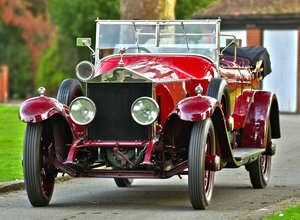 An original Open Tourer by J. B. Ferguson of Belfast. In 2008 she underwent a total body off nut and bolt restoration. 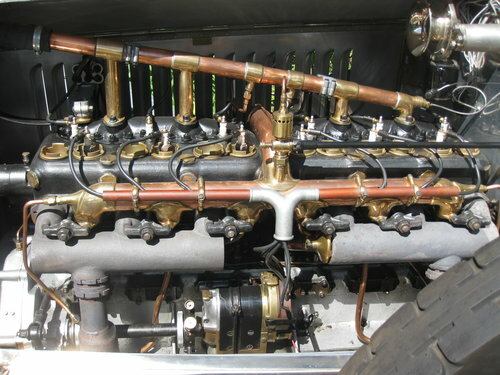 The highly respected coach builders Tucker and Western of Derby were entrusted to undertake this work. 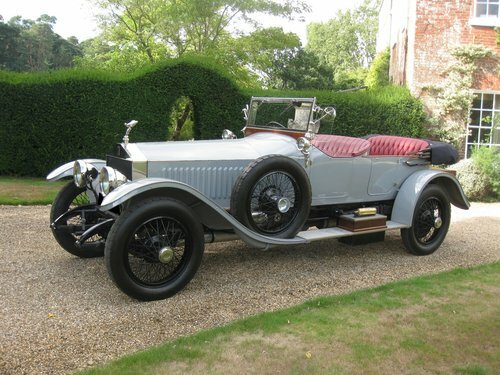 Once this was completed the car was sent to one of the top names in the business, namely A. J. Glew of Gloucestershire, for her mechanical work to be undertaken. 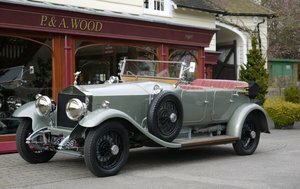 Mr Glew, before starting his own business served his apprenticeship with Rolls-Royce and is a highly respected judge of this prestigious marque to this day. The restoration was completed in 2015 costing in excess of £250,000. All bills and extensive photographic evidence are available. 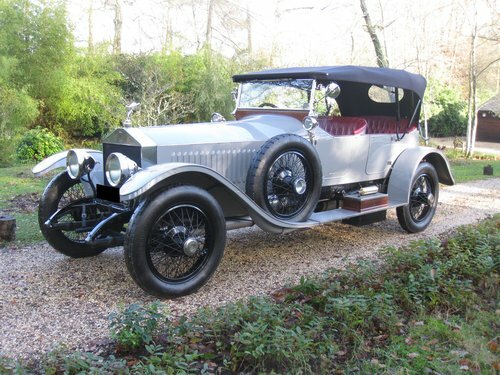 Having covered fewer than 3,000 miles since her restoration and being an all matching numbers car with all original build sheets from Rolls-Royce. Sporting the correct Alpine Eagle wheels and tyres and the correct Alpine Eagle Spirit of Ecstasy signed and dated by Sykes. 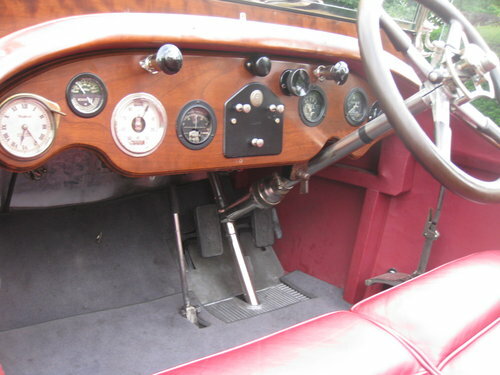 Further equipment includes the correct Auster screen for the protection of the rear passengers, side mounted lamps, period trunk, Klaxon and Desmo fire extinguisher. 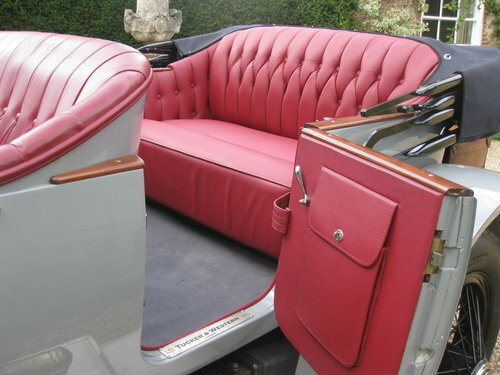 Finished in her original Alpine Grey with Burgundy leather upholstery and a very delicate and fine matching coach line to the edge of the wings.There is full weather equipment consisting of hood, tonneau cover and hood bag. Having all her original tools and fitted with a town and country exhaust being very rare these days, giving silent running in the town and sounding sporty & throaty in the countryside.It would be very hard to find another Alpine Eagle of this quality and in this condition making her a perfect long distance touring car for the whole family. Part exchange considered. Ivory and Maroon with Ivory hood and Dark Red hide upholstery. 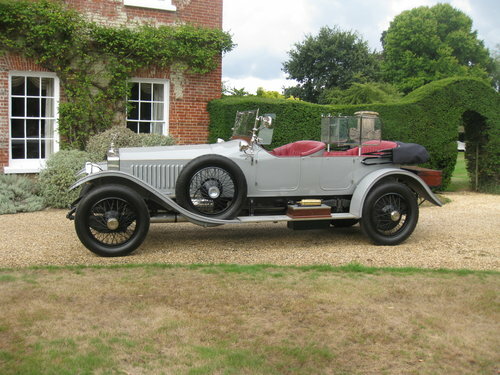 Pre First World War car with original coachwork in very good original condition with full and detailed history. Green and Black with Black hide. Well sorted and ready to use and enjoy. 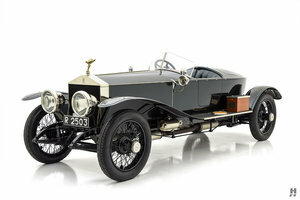 One of the last of the Silver Ghost models and fitted with four wheel brakes. Extensive history. Excellent condition. Known to P & A Wood in recent years.